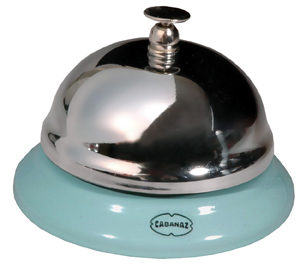 Bowl for cereal and soup Milk cup 300ml Napkins refill for tissue dispensers Bell Cabanaz table bell Wallclock with a sweep-movement Pedal bin metal, 3L Kitchentimer The retro kitchen timer from Cabanaz is not just nice for the kitchen sink, but with the magnetic back you can attach it to the fridge, hood, etc. A nice touch is the red dial that rotates as the minutes pass. The timer is mechanical, so no batteries are needed. Tissue dispenser Dirty fingers? 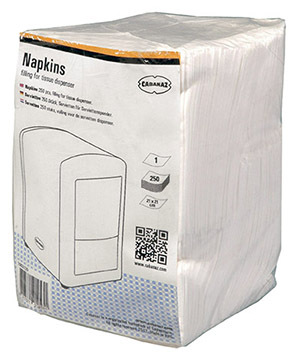 The original Cabanaz napkin holder is always within reach. The retro design is also fun on the table. Refill is available. 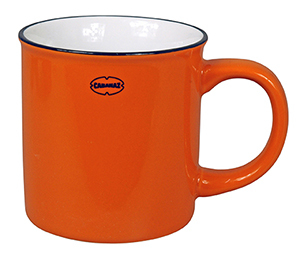 Tea / Coffee mug Mug is made of ceramics, based on vintage enamel kitchenware and tableware. With this Cabanaz-copies, each high-tea or coffee break is a nostalgic success! 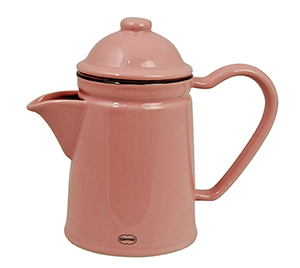 Tea / Coffee pot made of ceramics, based on vintage enamel Espresso Cup / Saucer Stylish espresso in vintage style? 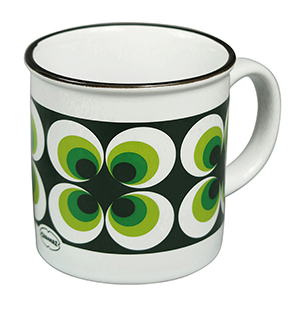 The espresso cup is made of ceramics, based on vintage enamel kitchenware and tableware. 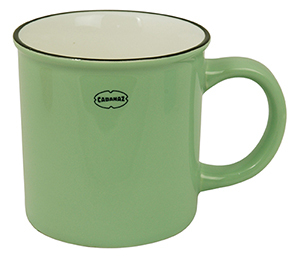 With this Cabanaz espresso cup, each espresso break is a nostalgic success! Storage jar Do you recognize them; the storage jars from Grandma's kitchen? They are back in a contemporary jacket. Tissue dispenser Dirty fingers? The original Cabanaz napkin holder is always within reach. The retro design is also fun on the table. Refill is available. 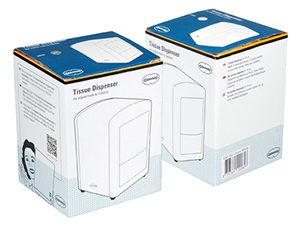 Tissue dispenser Dirty fingers? 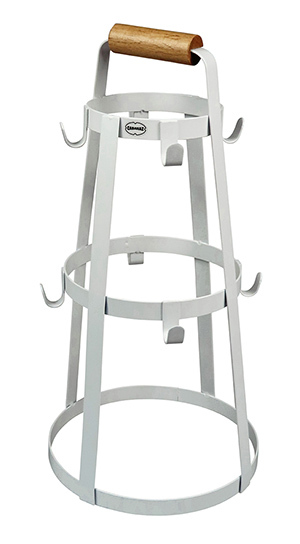 The original Cabanaz napkin holder is always within reach. The retro design is also fun on the table. Refill is available. Kitchentimer The retro kitchen timer from Cabanaz is not just nice for the kitchen sink, but with the magnetic back you can attach it to the fridge, hood, etc. A nice touch is the red dial that rotates as the minutes pass. The timer is mechanical, so no batteries are needed. Wallclock with a sweep-movement Tea / Coffee pot made of ceramics, based on vintage enamel Tea / Coffee mug Mug is made of ceramics, based on vintage enamel kitchenware and tableware. With this Cabanaz-copies, each high-tea or coffee break is a nostalgic success! Milk cup 300ml Storage jar Do you recognize them; the storage jars from Grandma's kitchen? They are back in a contemporary jacket. 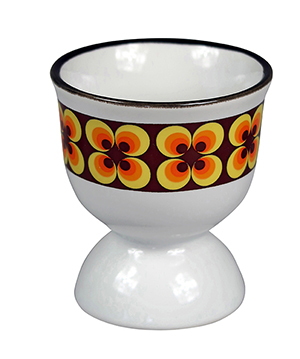 Egg cup Vintage style enamel Egg Cup, but made from durable and dishwasher-resistant ceramics. 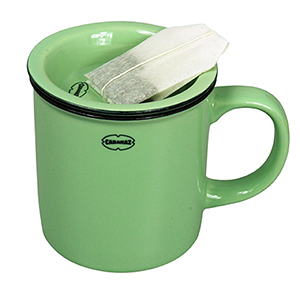 Milk & Sugar Vintage style enamel, but then from durable ceramic Milk & Sugar This handy sugar and milk set grace each table and is also dishwasher-resistant. Tea Tip / Mini Bowl Also very useful for snacks, tapas or for the olive oil-pepper dip. Tea Tip / Mini Bowl Also very useful for snacks, tapas or for the olive oil-pepper dip. 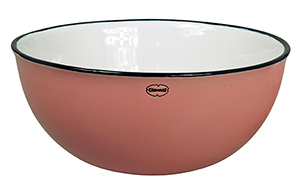 Salad Bowl A nice large bowl for salads. 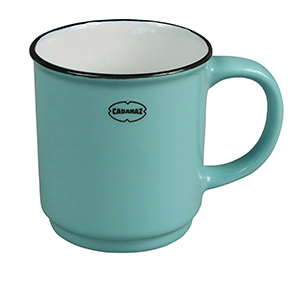 Tea / Coffee mug Mug is made of ceramics, based on vintage enamel kitchenware and tableware. With this Cabanaz-copies, each high-tea or coffee break is a nostalgic success! 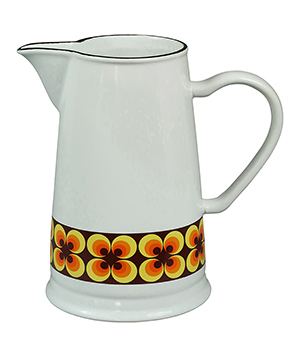 Pitcher Enamel-look but durable ceramic. 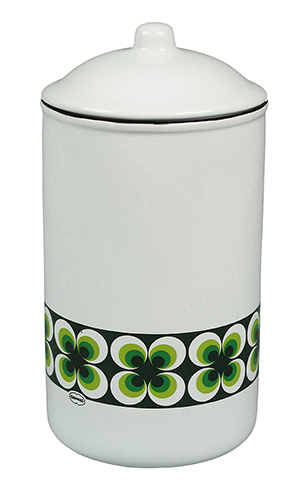 This can of 1.6 liter you put easily on the table filled with water, milk or lemonade. 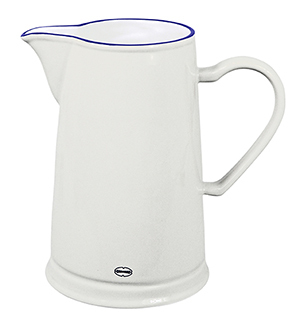 Pitcher This can of 1.6 liter you put easily on the table filled with water, milk or lemonade. 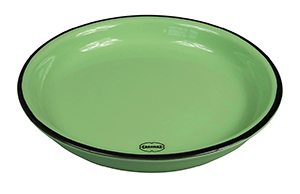 Tray Enamel-look but durable ceramic, that’s this tray! 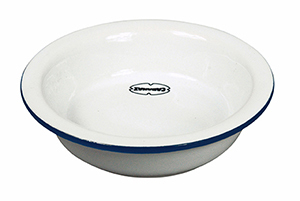 Tray Enamel-look but durable ceramic, that’s this tray! Cookie box This cookie box can’t be missed in the Cabanaz Ceramics collection. Salt & Pepper Shaker Shake, Shake, that’s all that it takes. Cookie box This cookie box can’t be missed in the Cabanaz Ceramics collection. Salt & Pepper Shaker Shake, Shake, that’s all that it takes. 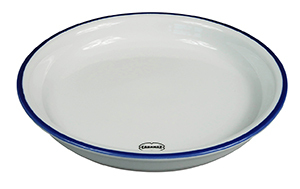 Small Plate Cabanaz Dessert / Cakeplate D 15.6 x H 2.4 cm. Made of ceramic, so foodproof. Small Plate Cabanaz Celebrate, like the old days, a special moment with family and friends. A delicious cup of coffee with a piece of cake, or a beautiful dessert is always good. 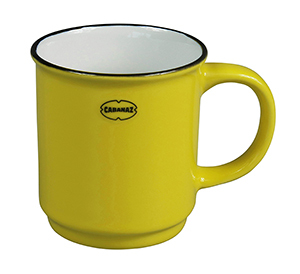 Small Plate Cabanaz Stackable Mug L 10 x W 7 x H 7.8cm, Made of ceramic, so foodproof, content 180 ml. Small Plate Cabanaz Stackable mug all the way up to the ceiling. Thermal Jug Cabanaz Do you enjoy nice tea or coffee breaks? 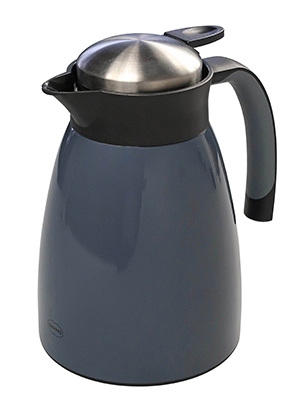 This double-walled stainless steel thermos can make it a lot easier. 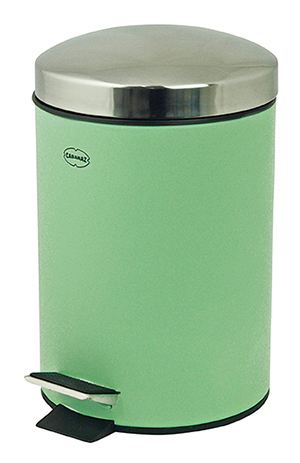 Thermal Jug Cabanaz Double wall stainless steel, content 1 Liter. Dustpan & Brush Nice if everything is tidy and clean! 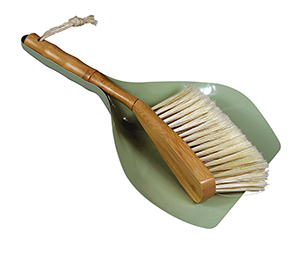 This dustpan and brush is stylistically designed in metal and bamboo so you do not have to hide it. Incl. fixation magnet. Side Table Simplicity with a trendy look, makes that this table easily fits with other furniture. Cushion Ramona Ramona takes you back to the seventies! This Retro print from CABANAZ will change the atmosphere of your living room, bedroom or hallway in an snap. A Retro look with a fresh twist. Cushion Ramona Ramona takes you back to the seventies! 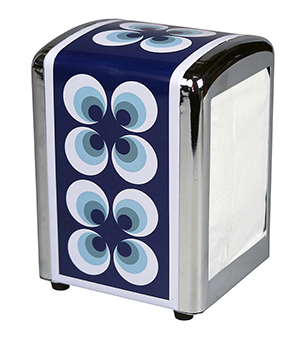 This Retro print from CABANAZ will change the atmosphere of your living room, bedroom or hallway in an snap. A Retro look with a fresh twist. 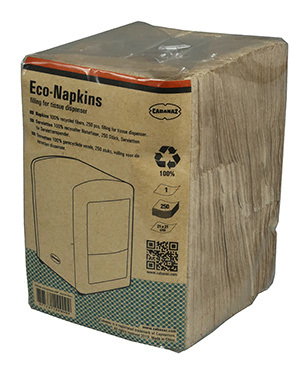 Eco Napkins refill for tissue dispensers. 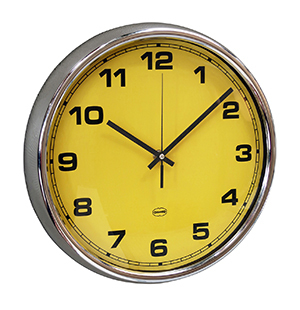 100% recycled paper Double-Clock Grey, retro clock with time indication on both sides. Gives your room a real Old School look. The movements can be set separately and work on a battery. Storage Rack Put all your confectionery or herbs and oil easily on the table. 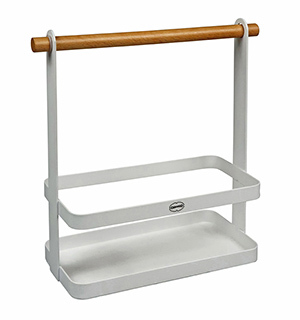 This metal rack with wooden grip from Cabanaz gives that extra retro feeling and fits perfectly in the cupboard after use. Mug Rack A perfect rack for hanging all your Cabanaz Mugs. 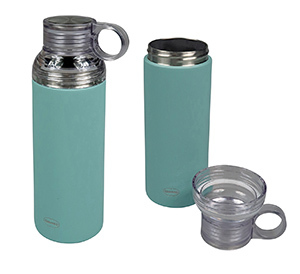 Thermal Bottle & Cup Easy to carry at the handle and the bottle can be opened in two ways to create a cup or just a spout. 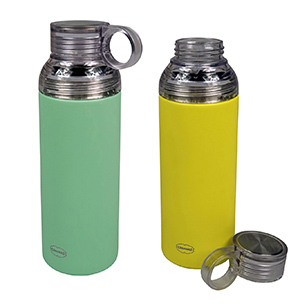 Thermal Bottle & Cup Easy to carry at the handle and the bottle can be opened in two ways to create a cup or just a spout.